Never stressed by sweat again thanks to laulas®! Life could be so beautiful – if only nobody knew that you are sweating terribly... Don't worry: thanks to laulas®-functional underwear, nobody notices. Laulas® is guaranteed to work, without intervention in the body. Developed by affected persons. Your stress with ugly sweat stains in the armpits is over. laulas® already provides affected persons in more than 30 countries new quality of life. laulas® also protects you against embarrassments. Make use of this unique innovation! You will lift your arms again without fear, give lectures confidently oder go to a rendezvous. The integrated armpit pocket for inserting laulas® absorbent pads with super absorbers or normal paper tissues are only available at laulas®. No more sweat stains – we promise No more sweat stains – we promise laulas prevents the sweat stains in your armpits in even the most stressful situations. Choose between standard and EXTREME – depending on your personal amount of sweat. Do you have any questions? We will be happy to answer them under info@laulas.com. Without intervention in your body Without intervention in your body The laulas functional undershirt stops the sweat stains immediately! You do not have to intervene in the natural, cooling flow of your body. Wear bright colors again. I’ve been a laulas customer for 4 years now and I’m very happy. Awesome products, simple and clearly presented ordering and fast shipping. One time I ordered the wrong size. No problem: You can simply change it. Excellent customer service. That’s how shopping is made enjoyable. Congratulations! You really did invent a great product, positively amazing material and most importantly – dry! I just wanted to say: Thank you so, so much. Just like you said, I have a new quality of life. There are different possibilities to reduce sweat stains caused by underarm sweating - laulas® can do it without interfering in the natural processes of your body. Sweat has a natural and important cooling function and also provides for purifying of pollutants. Accordingly, sweat should not be "turned off" in order to prevent sweat stains. For this purpose, the laulas® sweat-shirts were developed - resulting from the own history of sufferingn. With laulas® you immediately prevent your sweat stains in the case of excessive sweating (hyperhidrosis) and your body can continue doing its tasks naturally. Coolmax® - a water-absorbing mesh fabric provides for the quick transport of sweat into the armpit pocket. Armpit pocket with absorbent pad - the new laulas® absorbent pads with super absorber threads enclose the sweat safely. 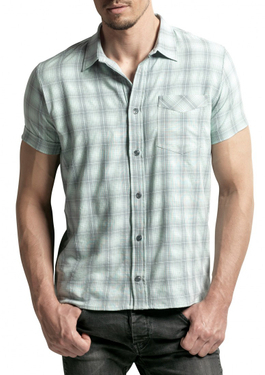 Swisscotton® Cotton - provides for pleasant wearing comfort and is a natural barrier. Bionic Climate membrane - the applied fluid barrier prevents the leakage of fluid to the outside and thus protects your clothing. 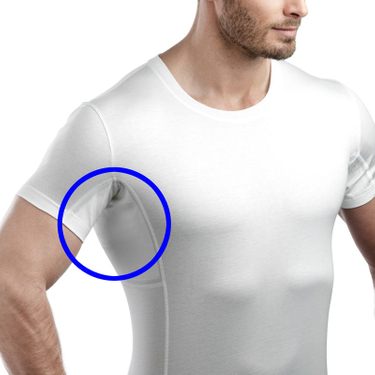 For more than 5 years, many thousands of customers use the laulas® functional under shirt every day. This way, we have collected a great deal of experience and a lot of feedback. Thanks to your collaboration, we were able to further improve the wearing comfort and the performance.